Thunder @ Lakers Predictions Archives - NSAwins.com – Expert Sports Picks from USA's #1 Sports Handicapping Service! Tag Archive | "Thunder @ Lakers Predictions"
2013 NBA Picks: OKC Thunder @ LA Lakers Odds and Predictions – Free NBA Picks 1/27/13 The NBA is back on the big stage as ABC’s Sunday Showcase returns this weekend, and in the second game of the doubleheader, the Oklahoma City Thunder (34-10) visit the Los Angeles Lakers (18-25). The two teams have had some epic playoff battles in recent years, and after the Lakers added some firepower in the offseason, another postseason showdown was supposed to be brewing. Things haven’t exactly gone according to plan, and while the Thunder have the best record in the NBA, the Lakers are a mess and will be lucky to make the playoffs unless something drastic happens. Oklahoma City has already knocked off Los Angeles twice this season, and they are three-point favorites on the road in this one. The Thunder have been every bit the juggernaut they were expected to be when the year began. Oklahoma City owns the NBA’s top-scoring offense at 105.9 points per game, and the team also has the third-best field goal percentage. As he has in each of the past three seasons, Kevin Durant is leading the NBA in scoring. Point guard Russell Westbrook also ranks in the top 10 in scoring while Kevin Martin has provided the bench scoring lost when James Harden was traded to Houston. Oklahoma City has been solid defensively, as well. Led by shot blocker Serge Ibaka and enforcer Kendrick Perkins, the Thunder rank 10th in rebounding, first in scoring differential and are holding opponents to the third-worst field goal percentage. It isn’t hard to understand why this team owns the league’s best record. When Los Angeles added Steve Nash and Dwight Howard to Kobe Bryant and Pau Gasol, the Lakers appeared to have a championship-caliber team. Instead, the season has been a disaster. Yes, they are third in scoring and sixth in rebounding, but the Lakers rank 26th in scoring defense. Meanwhile, Nash had been hurt, Howard has been inconsistent and new coach Mike D’Antoni has Gasol shooting jump shots and coming off the bench. Sometimes a team is better than the sum of their parts, thus far, the opposite has been true for Los Angeles. If Oklahoma City takes care of business on the offensive end, it is going to be in the driver’s seat. The Lakers really don’t have an answer defensively for Durant or Westbrook, and if the two are sharing the ball and getting good looks, the Thunder are going to overwhelm a struggling Los Angeles defense. Getting off to a fast start offensively will also force Bryant to try to shoot the Lakers back into the game, and if the Thunder make Los Angeles a perimeter team, this game is going to get ugly. At the end of the day, Durant and company are going to go three-for-three against the Lakers if their offense shows up and performs like it has all year. If Los Angeles is going to get its season back on track against the NBA’s best team, it needs to be a team effort. Bryant is having a great season, but he isn’t going to outscore the league’s best offense by himself. If Howard and Gasol can provide some frontcourt scoring and Nash can add some perimeter points, Bryant just might have something left in the tank at the end of the game to close out the Thunder. Defensively, Howard needs to play like the three-time Defensive Player of the Year that he is and keep Durant and Westbrook from living at the rim. In addition, the Lakers’ perimeter defenders need to stay out of foul trouble to avoid relying on the team’s thin bench. If Los Angeles can establish a balanced attack on offense and make the Thunder a jump-shooting team, the Lakers have a chance. This game is a mismatch on paper, and it will be the same on the court. The Lakers are a terrible defensive team, and the Thunder own the league’s best offense. Worse yet, Los Angeles struggles defending the point of attack and strong perimeter scorers in general, and Oklahoma City has two of the best in the business in Durant and Westbrook. In fact, Durant is averaging 33.0 points per game in his last six meetings with the Lakers, and Westbrook is averaging 27.5. Los Angeles isn’t going to find an answer for either player any time soon. Plain and simple, the Thunder are too fast, too athletic and too stout on offense for the Lakers. The fact that D’Antoni refuses to play through Howard and Gasol in the post and control the tempo only ensures that Los Angeles is going to try to beat the Thunder at their own game, and it is going to end badly. 2 EASY STEPS to BET on 2012-2013 NBA Odds Daily! STEP 2: Deposit with Credit Card or Deposit by Check and get upto 135% in BONUS money FREE added to your SBG Player Account Funds. 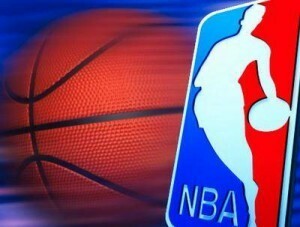 Get the 2012 NBA vegas odds on NSAwins.com plus visit for 2012 NBA expert picks and updated 2013 NBA Finals Futures Odds. 2012 NBA Picks: Oklahoma City Thunder @ Los Angeles Lakers Odds and Predictions – Free NBA Picks 4/22/2012: With the regular season winding down, the Thunder (46-17) and Lakers (40-24) already know they will be headed to the postseason. However, both teams have plenty to play for when they meet Sunday afternoon in Los Angeles. Oklahoma City is just one game back in the loss column on San Antonio for the top seed in the Western Conference. Meanwhile, the Lakers are clinging to a half-game lead over the Clippers in the Pacific Division. Throw in the fact that these two teams could meet again in the second round of the playoffs, and Sunday’s game has plenty riding on it. The Thunder is going for the season sweep in the series and is a 2 ½-point favorite in this matchup. In the first two meetings between the teams, Oklahoma City was simply too much offensively for the Lakers to handle. The Thunder won 100-85 in a February contest and 102-93 in the Staples Center on March 29. For the year, the Thunder has a huge edge on the offensive end over Los Angeles. Oklahoma City is third in the NBA in scoring at 102.8 per game, while the Lakers rank in the middle of the road. The two teams are comparable on the defensive end and on the boards, which makes the Thunder’s scoring prowess all the more noteworthy. Los Angeles’ biggest issue is slowing down Oklahoma City is that it doesn’t have an answer for the Thunder’s two star players. Forward Kevin Durant and point guard Russell Westbrook rank second and fifth in the NBA in scoring, and both have played crucial roles in Oklahoma City’s victories over the Lakers. Durant dropped 33 in the February victory, and Westbrook exploded for 36 in the March win. With Ron Artest no longer the lockdown defender he used to be, Los Angeles doesn’t have the speed or athleticism on the perimeter to contain either player. Even the addition of point guard Ramon Sessions didn’t help the Lakers, as Westbrook had his big game against Sessions. While the matchup issues with Durant and Westbrook are from ideal for Los Angeles, the Lakers’ biggest problem against the Thunder has been Kobe Bryant’s shooting woes. He has made just 14 of his 49 shot attempts in the two meetings with Oklahoma City, and since the Lakers have struggled to score at times when Bryant has been playing well, they have little chance of winning if he struggles once again. It’s tough to bet against the NBA’s leading scorer, but the length of the Thunder’s Thabo Sefolosha seems to bother Bryant. Not to mention the fact that Bryant is just returning from a shin injury. At the very least, Oklahoma City will make Bryant work for his points. The X-factor in the game could be Los Angeles center Andrew Bynum. He has blossomed as a post scorer this season and recently grabbed 30 rebounds in a game. When he is focused, Bynum can take over a game offensively for Los Angeles, and the Lakers will need him to do just that Sunday. Oklahoma City does have two big bodies in the paint to counteract Bynum in Kendrick Perkins and Serge Ibaka, but Bynum had little trouble scoring in the March meeting, finishing with 25 points on just 15 shots. He will need to have an even bigger game this down around to get the Lakers over the hump. In the end, the Thunder is just a tough matchup for the Lakers. Los Angeles is used to being the older, slower team, but having Bynum and Pau Gasol usually allows the Lakers to dominate the glass and the paint. Oklahoma City has enough size and athleticism inside to hold its own against the Lakers’ big men and the perimeter firepower and speed to outscore Bryant and company. The Thunder already has two easy wins against Los Angeles this season, and a season sweep should be on tap. 2 EASY STEPS to BET on 2012 NBA Odds Daily! STEP 2: Deposit with Credit Card or Deposit by Check and get upto 265% in BONUS money FREE added to your SBG Player Account Funds. Get the latest NBA odds daily on NSAwins.com plus visit for NBA expert predictions and updated 2012 NBA Championship Odds.